ownCloud offers a solution to organizations that need to share confidential data internally and externally. The open platform offers better productivity and security within digital collaboration, and enables users to access data no matter where it is stored or which device is being used. Increased mobility and the rapid development of IT technologies have already significantly changed the nature of collaboration. Users request easy-to-use tools for digital collaboration that they can use from any location while ensuring the organizations’ security and keeping with compliance policies in order to prevent unauthorized access to sensitive business files or economic espionage. With functionalities such as collaborative editing, federated cloud sharing and data infrastructure modernization, ownCloud is able to facilitate digital collaboration and increase productivity. In addition to the ability to exchange files easily, users also demand to edit documents at the same time as others, without version conflicts and the tedious reconciliation of those different versions. 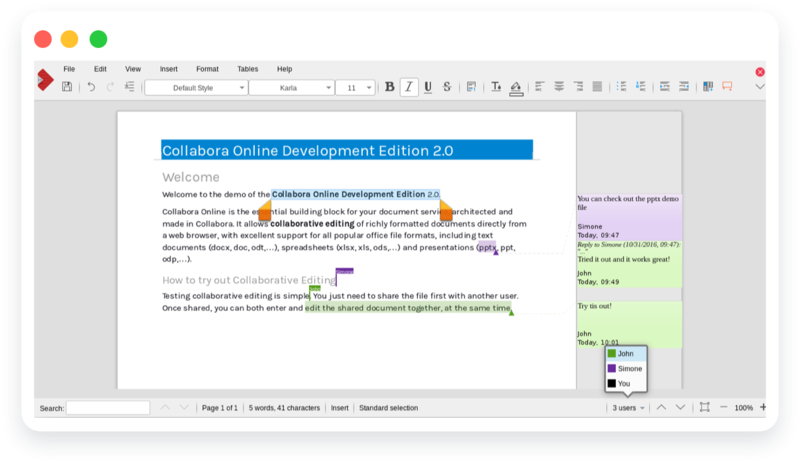 The Integration of Collabora Online, ONLYOFFICE and Microsoft Office Online provides collaborating editing functions for text documents, spreadsheets and presentations inside ownCloud. 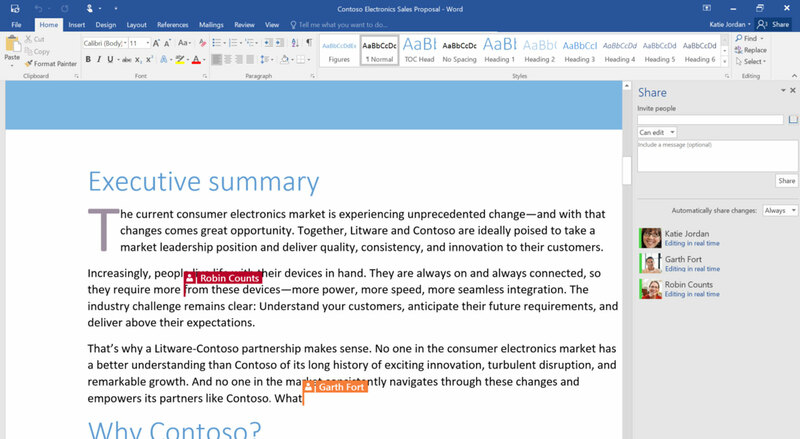 All common document, spreadsheet and presentation file formats are supported. Project teams can, therefore, now safely exchange their work and collaborate efficiently on documents. This increases productivity, while maintaining full control over sensitive corporate data. 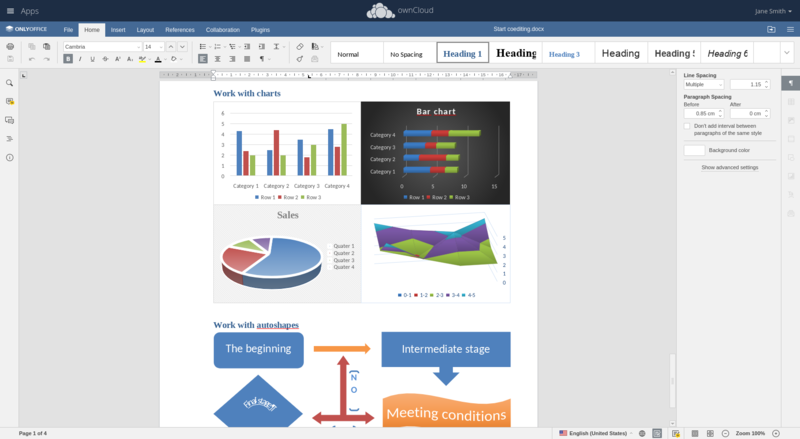 The Microsoft Office Online integration enables viewing and collaborative editing of documents, presentations and spreadsheets using the original Microsoft Office Online Editor within the ownCloud frontend in real time. You can check out all the details here. 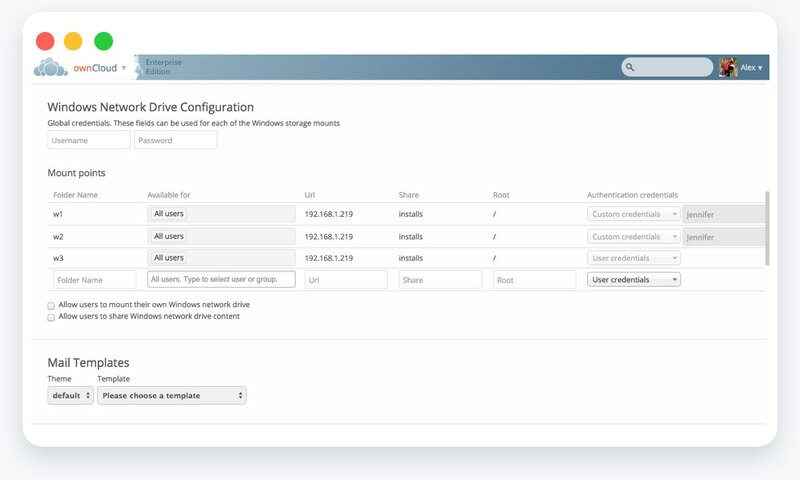 Only ownCloud gives users the ability to connect federated servers from multiple geographic locations into a single user experience that allows for seamless collaboration. Leveraging newly enhanced server to server APIs, users of any ownCloud server can now search for users of any other federated ownCloud from any client – mobile, desktop or web. Sharing is as simple as two clicks and entering the recipient’s name. This allows easy and productive collaboration. Unstructured data is often spread across multiple data silos such as Windows network drives, Microsoft SharePoint, FTP servers, object storage (e.g. S3) or public cloud services (e.g. Google Drive, Dropbox or other WebDAV-enabled services). Its goal is to preserve and reuse previously created policies and to set permissions at the user, file, application, storage and/or cloud level. With ownCloud, users have a single point of access to all of their unstructured data where permissions, ACLs and compliance requirements are respected and can be met and/or configured at a file, object store or user level. Files stored in data silos are made available within ownCloud securely and benefit from ownCloud’s feature portfolio. Data infrastructure modernization is achieved by a common file access layer to bundle information, regardless of where the data lives – in applications, object stores, on-premises storage or in the cloud. Users can access company files on any device, anytime, from anywhere – completely managed, secured and controlled by IT. Data is kept where it is, while IT is able to manage sensitive information and business risk, leveraging existing data management, security, governance tools and processes. The convenient access to files, no matter where they are stored or which device is being used, contributes significantly to productivity enhancement and supports an effective collaboration.